Kyle, Alien Baltan and Brad Warner talk about Tsuburaya Productions. This interview was recorded with Brad Warner in his apartment while I was in the LA area for Monsterpalooza. 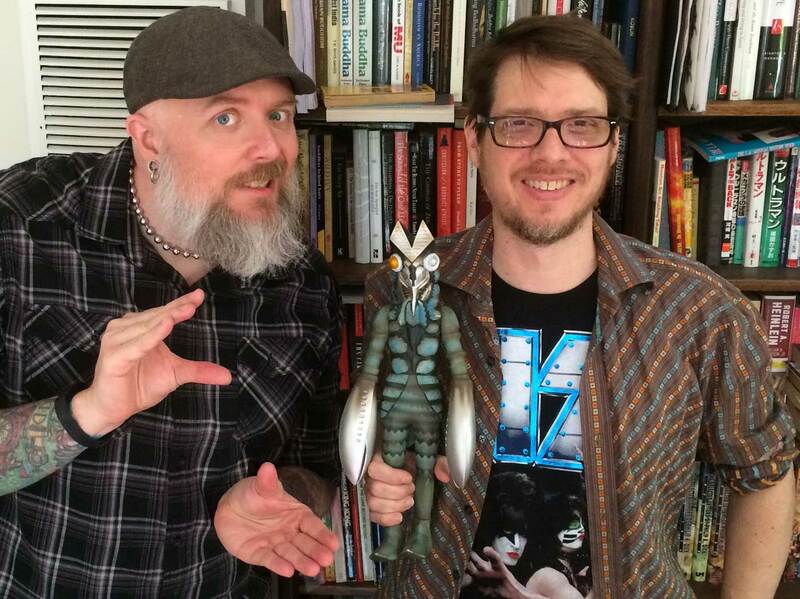 I’d been wanting to have Brad on the podcast for a few years now because not only is he a kaiju fan, he actually worked at the company responsible for Ultraman and the countless spin-offs (and much, much more). Brad talks about his time at Tsuburaya and some of the memories he has from his time in Japan. He also discusses the history behind Tsuburaya and the Thai company, Chaiyo and gives his thoughts about what went down. Brad is also a Zen monk, but we didn’t really talk about that stuff so the links below are mostly related to his books, blog and more (you will definitely want to check out some of the awesome old videos on his YouTube channel). Anyway, I hope you enjoy the conversation with Brad and hopefully we can get him back on the podcast soon! Don’t forget that May’s Daikaiju Discussion will be about the Millennium-era film Godzilla X Mechagodzilla (2002). So make sure you have your homework sent in before May 22nd to be part of the episode!